Van der Valk Shipyard in the Netherlands has delivered the fourth yacht in its renowned Raised Pilothouse semi-custom range. 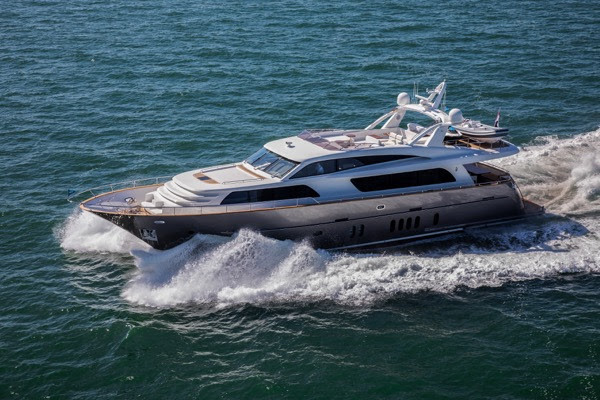 The 26-metre Nicostasia was built for owners who had already enjoyed the experience of owning a Van der Valk motoryacht and now wanted to go larger and all-new. Featuring exterior and interior design from Guido de Groot and the highest standard of Dutch construction and engineering, Nicostasia is an impressive addition to the growing Van der Valk fleet. The cooperation and coordination between the yard and the owners’ representatives during the design and construction of Nicostasia was seamless. As Van der Valk has ample experience with owners from their country, they were able to conduct all communications in their native language. 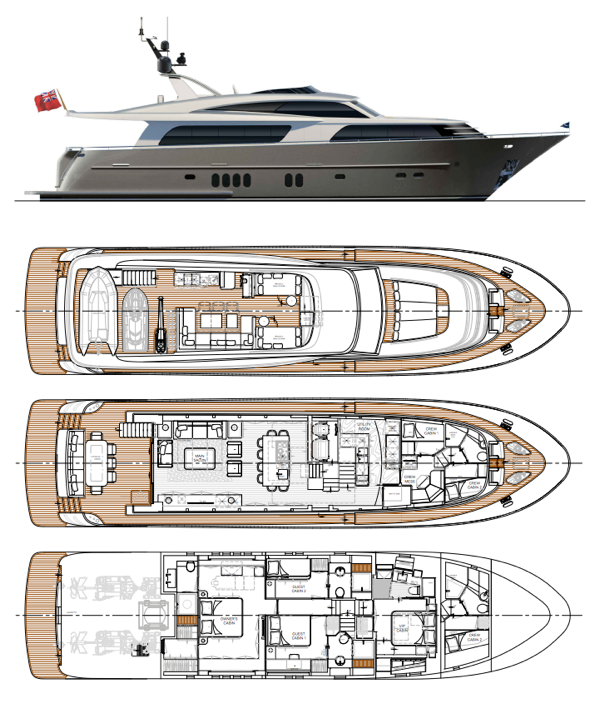 The overall design brief for Nicostasia was to create a cool-looking, smart-working family boat, thoroughly adapted to the clients’ wishes. The interior and exterior were both designed in partnership with Guido de Groot. Overall, the interior is typified by bright colours, with whitewashed oak as the principal material – the family had seen this colour scheme on several other Van der Valks and opted to reproduce the palette in an even lighter version. “The interior is quite elegant and minimalistic, yet clearly very functional and robust,” says Guido de Groot. 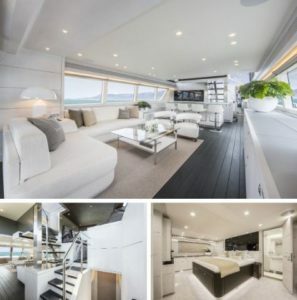 “Nicostasia is a real family boat – the owners are delighted with her and spend lots of time on board.” The lower deck hosts the main accommodations: the owner’s suite, which takes up the full 6.25-metre beam, two guest cabins, one to starboard and one to port, and a VIP cabin forward. All accommodations include ensuite bathrooms, with the owner’s suite being especially large and also featuring a walk-in wardrobe. The guest cabins are designed specifically for the children in the family, including in terms of décor choices, underlining the fact that Nicostasia is more a family boat than a typical yacht which is intended for charter. Nicostasia is Van der Valk’s fourth Raised Pilothouse, and while the boats in the series are characterised by tried-and-true exterior lines, there are a wide range of choices in terms of layout and interior architecture options.